i) Results may direct future planning and training to include ‘hot topics’ and current issues in education. a) Maintain dialogue about current topics and issues in secondary administration and education. a) SAM website – promote the site and encourage all members to register on the site. c) Regional directors will send agenda and minutes from regional meetings to association director or association staff. i) Encourage and promote attendance through various strategies. iv) Offer model policies, legal support, liability coverage, educational articles, crisis support, networking and expertise to members. a) Regional Directors, or their designee, will make personal contact with each eligible/aspiring/licensed MASSP member in their region not currently in an administrative role with an invitation to join. i) First year mentoring assignments available formally and informally through SAM. iv) Great Beginnings – additional contact with new members quarterly. i) Schedule new director and other board member training. i) Train directors about levels of MASSP membership including national levels of membership. d) Regional Directors, or their designees, will have contact with retired administrators in their regions. 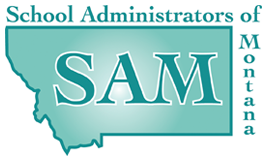 MASSP will collaborate with other education advocates to promote excellence of public education to build brighter futures for Montana Students. c) Soliciting information from NASSP and other organizations. i) Invite legislative candidates to school events and participate in coordinating meetings with the candidates.